Here is a little bit about Paphos Weddings and our company, aptly named Paphos Wedding Company! My name is Sue and I have lived in Cyprus for 14 years and my youngest daughter Katie also lives here. When we first came here my eldest daughter decided to get married in Cyprus and as we were here already I made all the arrangements for the wedding. I enjoyed it so much I decided to set up a wedding planning business and so Paphos Wedding Company was born. I have been joined by Katie who is also a Wedding Planner, and together initially with Peter Saunders our photographer (sadly no longer with us), and now with Lee Stevens & James Morrall our talented wedding photographers. Together with our brilliant team of suppliers we have arranged hundreds of weddings, and we are one of the longest established independent planning companies in Cyprus. We have the perfect job, we live by the sea in the sunniest country in Europe. we share our wedding couples happiest day, and we love making things! 2017 was an exciting and very busy year for us. we launched our Wedding Banners & Boards business which is our printing and graphic design business for wedding products, and also our Wedding Adventures business together with Lee Stevens our photographer. 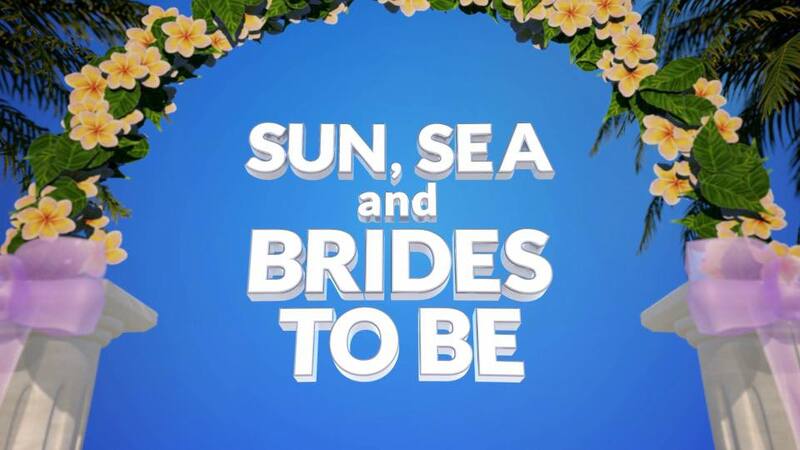 If that isn’t enough, we were also selected to take part in the Channel 4 TV series Sun, Sea & Brides To Be which focused on wedding planners & wedding in Cyprus. Some of our weddings were filmed and we have had a camera crew with us on many occasions. You can see us working hard on a hot beach and even see Katie rock climbing when testing out one of our new Wedding Adventures! Don’t forget to watch it on Channel 4, Saturday afternoons at 3.30pm, it is a great way to have a good look at Cyprus and a sneak preview of some of the lovely venues here. You can also see how hard we work to make your day perfect. We also had some setbacks, Katie was seriously ill in November 2017, had major surgery and nearly died, but thankfully she is recovered now and celebrated her own wedding in Cyprus in October 2018 at the lovely Minthis venue. What a fabulous day it was, you can see some of the photos and the video on our Facebook page. Like everyone else today we are on Social Media. We update our posts as often as we can and you can find out what we are up to and see some great photos and videos of recent weddings here, so don’t forget to pop over and take a look. We love getting comments from everyone, and of course some likes! Here is more information about Paphos Weddings. 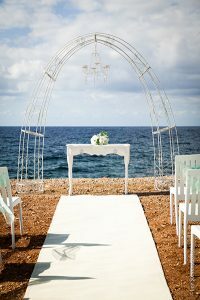 We are the leading specialist wedding planner in Paphos and one of the longest established planning companies in Cyprus, so you know your wedding is in safe hands. Our level of service and attention to detail is second to none and our aim is to design a wedding plan for you that totally fits your requirements and makes your wedding day a fabulous memorable occasion for you and your guests. We love weddings and we look forward to planning your big day! Here at Paphos Wedding Company we pride ourselves on our high level of personal service, we ensure that your wedding day is the best it can possibly be – it is very important to us that all our couples have a relaxing and stress free wedding day that they can both enjoy to the full. Cyprus is a perfect place for a wedding abroad, it has the sunniest climate in Europe and a summer that stretches from April to October, with barely any winter. It is not too far to travel, and the standard of accommodation on the island is very high ensuring that you and your guests will have a lovely comfortable holiday. Cyprus is blessed with beautiful scenery, the blue Mediterranean, stunning mountain ranges and quiet beaches. 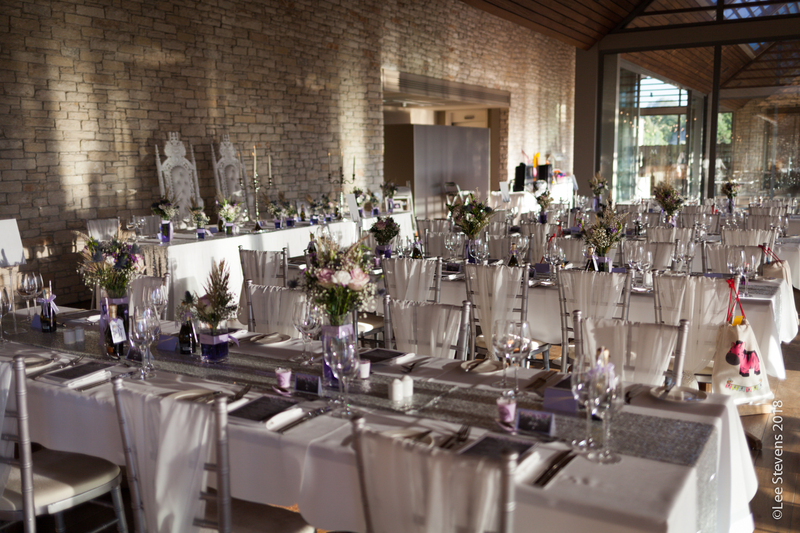 plus a huge choice of venues for both your wedding and reception. English is one of the official languages, and both civil and church ceremonies are conducted in English, so no need to worry about translation services. If that isn’t enough getting married in Cyprus is significantly cheaper than a wedding in the UK. We are very particular about the venues we offer to you, they all meet our high standards for suitability, service, quality, cleanliness & food. We do not just offer standard hotel options, we have a wide range of interesting and unusual venues in addition to hotel venues. We have stayed in many of the hotels ourselves and eaten at all the venues we recommend so we know they meet our exacting standards. Many brides do not get the chance to visit Cyprus and properly check out their wedding venues before the wedding, so you can be confident that the venues we select for you will meet your expectations. We are not a large corporation selling conveyor belt weddings in all-inclusive hotels like the large tour operators. We focus on quality of service, support and customer satisfaction, we are dependable and trustworthy. We only take a small number of bookings each month so are able to offer a much higher level of personal service and your planners time is dedicated only to you on your wedding day. From the first contact we assist you right through to your wedding day, working out sample wedding plans with costs, helping you to select the right wedding and reception venue, advising you on wedding extras like flowers, transport, wedding decoration, in fact every element that helps to make your wedding day a success. Unlike some of the large companies we can confirm your wedding bookings within 24-48 hours, you will always know what time your ceremony is booked for. You can email or call us as often as you like and we will answer promptly. The price we give you covers everything including the venue hire fees and registrar or church fees, so no nasty shocks when you arrive! We also give you the correct advice regarding the legal paperwork, and will always take you to the Town Hall to obtain your marriage license and to the salons for hair & makeup trials. We have detailed pre-wedding meeting with you to ensure that you are happy with the arrangements. We show you the venues and introduce you to key members of the team and the wedding venue managers. We run through the details of your wedding and the timings so you are happy that everything has been done correctly as a result you can then relax and enjoy the lead up to your big day. On the day we are there throughout the day making sure everything runs smoothly so you can both just relax and enjoy your wedding day. In today’s online world of Facebook groups and internet bookings many brides think that booking and arranging their own wedding is a cheaper and easier option, but this is usually not the case! Remember we have arranged hundreds of weddings and most brides only ever arrange one so maybe they aren’t in the best position to give good advice! Of course we make a charge for our services as we spend many hours on each wedding and answer hundreds of emails in the lead up to your wedding day. Ask yourself if you really want to spend weeks before the wedding sourcing and comparing suppliers, and stressing over the details whilst worrying about working out the costs of everything? Do you want to have to make your own way to the Town Hall to get your marriage license, and to the hair salon for your hair trial? On your wedding day do you really want to be chasing suppliers, receiving deliveries, organising your guests and decorating your reception venue? I think most brides would rather be relaxing with their bridesmaids, sipping champagne whilst their hair and makeup is being done, fully aware that all the suppliers, venue decoration, transport, flower delivery and guest assistance is being competently handled by their experienced wedding planners. Thus leaving them to relax, mingle with their guests, enjoy the day and let us do all the work! I know which one I would choose! Or get in touch today, you have nothing to lose and much to gain! So contact us today and we will be pleased to work out some sample no obligation wedding plans for you to consider. Click on the Contact tab above and complete the form.